Yeti rides: Another Sunday ride. A short Pugsley ride. Yesterday the temperature was just above freezing and there was a strong wind. As a result all the snow disappeared from the trees and the ski tracks are full of debris. Hopefully we get more snow soon. At least the sun shines today, something which has not been that common during this winter. February and March should see more sunny days, though. There is still a lot of snow. 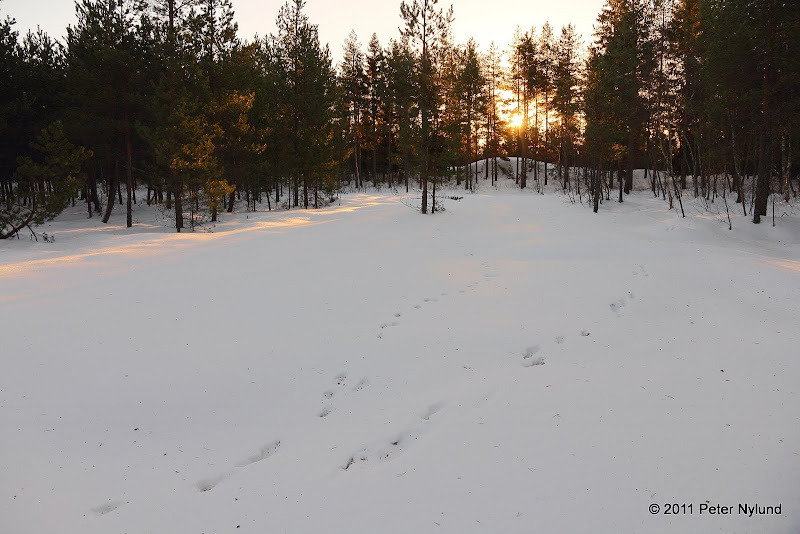 When I took this photo I stood in about 60 cm of snow. 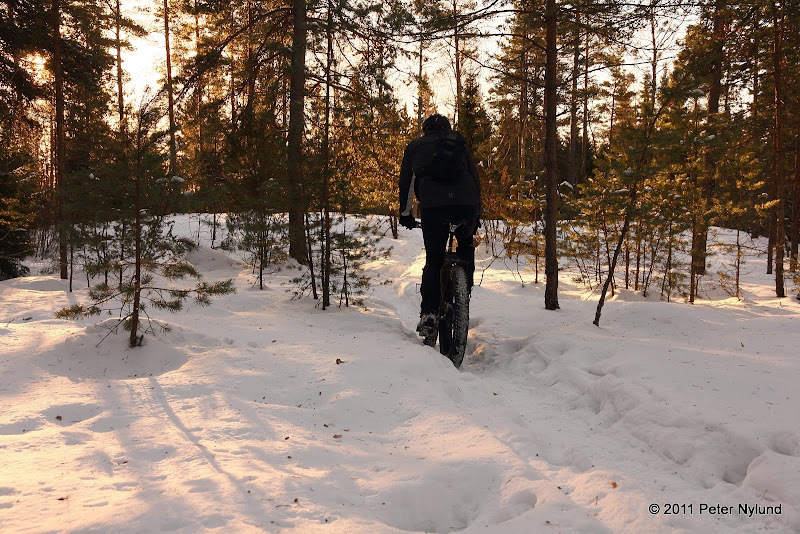 The bigger trails are nice and hard, but there are still smaller trails that are difficult even with a fatbike. Greenman. I've seen his tire tracks on several rides before this year, and sometimes missed him by just a few minutes. This time our positions in the space-time continuum happened to converge, just as I took a shortcut home. 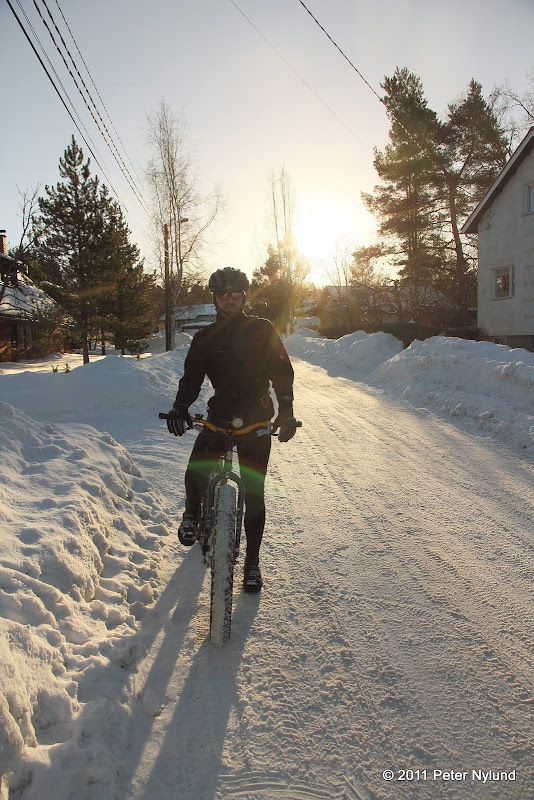 Hey you have a fatbike buddy! Yeah. He was the first one in our town and got one for Christmas 2009. Now there are four Pugsleys here that I know of. And i hear that 5th is comming. Aparently I heard wrong. 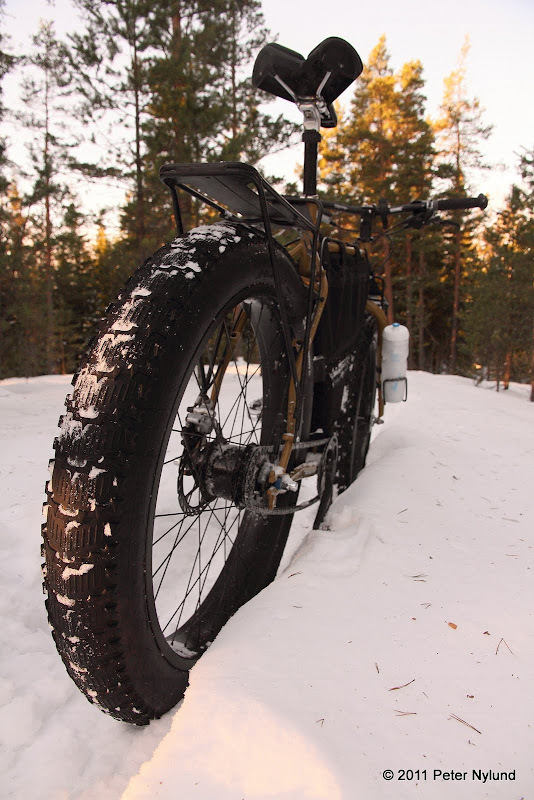 It´s not a Pug, but 5th fatbike anyway.